Kings and cultures make demands of us, but like the apostles, “we must obey God rather than men” (Acts 5:29). This was the choice put to Shadrach, Meshach, and Abednego: do what authority dictates, or face certain death by obeying God instead. They were determined to obey God and trust his will for their lives. Yet it is not only external authorities who make demands of us. The old nature makes its own demands. 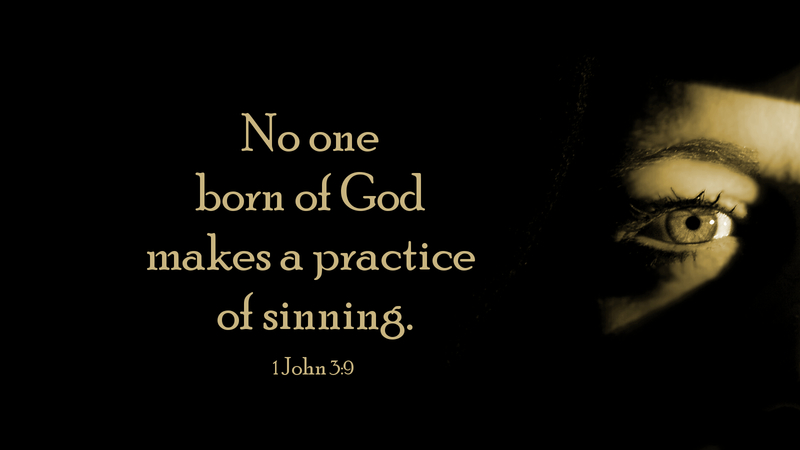 We are inclined to sin, to hate God’s law, but now that we are born again, we must make up our minds, like Shadrach, Meshach, and Abednego, to obey God by not making a practice of sinning. This does not mean that you will never sin again—you will. Rather, this means that you will confess, seeking God’s forgiveness and strength to “go and sin no more” (John 8:11). With God’s help, you will practice righteousness so that in time, you will make progress at not sinning. Like John’s followers, we must make our stand at that watery line in the sand, a line of repentance, for the King of kings is coming to judge the world (Matt 25:31-46). Prayer: Father, give me the resolve of your Spirit so that I may remain faith to Jesus Christ my Lord. Amen.